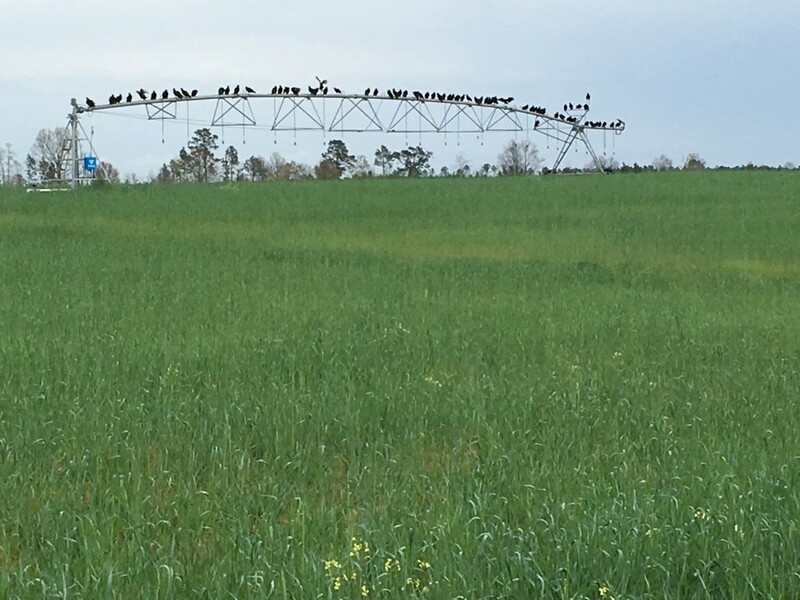 I had to take a picture of these ‘buzzards’ on this irrigation pivot. It was like they were having a meeting one morning before they all went back to work. The common names are very tricky and often not accurate. Generally vultures are native to North America. Generally, buzzards are found in Europe, Africa and Asia. But, the birds are called different things by local people in different parts of the world. In America, the most correct name is VULTURE – Black Vulture and Turkey Vulture. A good go to source on bird information is www.allaboutbirds.org – a website from Cornell University, Laboratory of Ornithology. *Can you count how many are sitting on the pivot?? Posted in Wildlife. Bookmark the permalink.